It’s time for the Hutong Races. Start from Shichaihai Station with your phone charged. Your team must race to find answers and complete challenges in seven hutongs around the Drum and Bell Tower. Every second counts! Teams from across Beijing will compete to win the Hutong Cup. These are China’s most hardy expeditioners, with exceptional skills in perception, navigation, and perseverance. You and your friends can form a team and join in all the fun and activities. 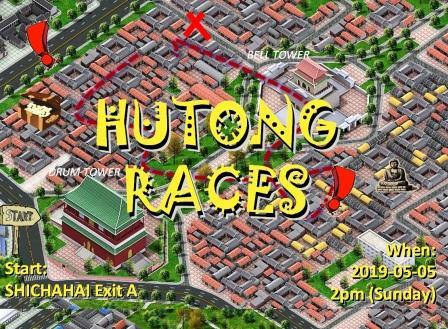 Hutong Races welcome for newcomers and even Beijingers who want to explore longer and further than they’ve ever done before There are great prizes, freebies, and rewards for at every level of the game.